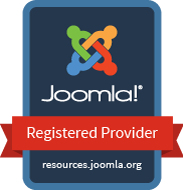 JMG Img Hover Module for Joomla! is based on Pure CSS Image Hover Effect Library allowing you to easily implement scaleable image hover effects. Easily build nice image hover effects with a couple clicks. The color picker comes with two slider. With the first slider (Color Slider) you can choose your color. The second one (Opacity Slider) adds the possibility to set your background transparency. The Extension works as described.